PLEASE REMEMBER THESE IDEAS ARE ONLY TO SPARK IDEAS FOR YOU, THIS IS NOT A COMPLETE LESSON AS ONLY YOU KNOW WHAT YOUR PRIMARY NEEDS TO HEAR. BE MINDFUL OF YOUR PRIMARY, PRAY ABOUT YOUR LESSON, AND YOU WILL GET HELP IN PREPARING. For this week I have two ideas for you to choose from! I don't know where these came from (okay I do) but I love them! 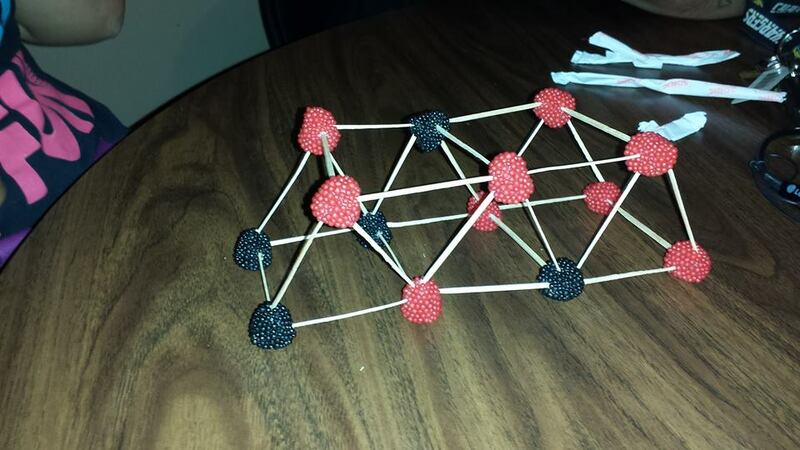 First and foremost, you're going to be building a bridge with toothpicks and gumdrops. you'll want to build it using triangles, it doesn't matter the length it's the point that matters (LOL pun not intended - you'll get it in just a sec). When pressure is applied to the square or the circle bridge they will collapse but with the triangle bridge it will stay steady and be able to hold more weight than you'd think (let the kids know this after they try making theirs. Some will just use squares and other may try other shapes. Don't get rid of these, you'll want to take them to church to show the kids after their part is done. Here's a videos showing why the triangle is the best shape, you can start watching about 2:50 in the video for the "reason" if you want to talk to your kiddos about that part of it. And this is a great instruction on putting them together. 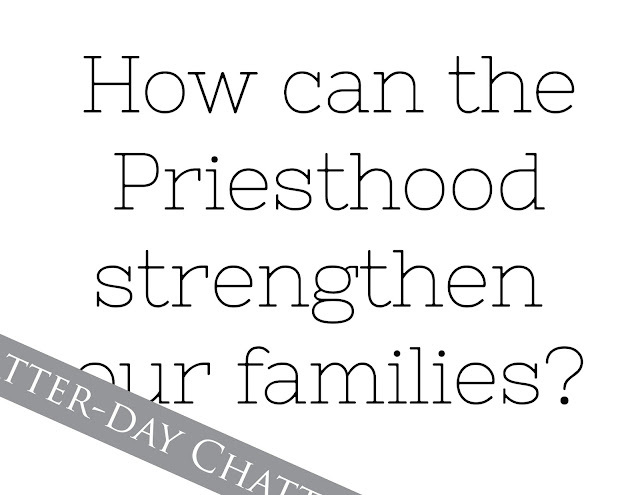 What can happen if we don't have the Priesthood and aren't strong and sturdy? (if you see one of the groups with a "flimsy" bridge demonstrate it on their bridge by attaching one of the cups underneath hanging by the string and begin filling it with marbles until it collapses (it shouldn't take long). When are are going through tough things in our lives (bullying, classes, etc) we can ask for a blessing and it is through the Priesthood that we are given words that the Lord would want us to hear. What happens when we have the strength of the Priesthood? (use yours or another of the kids' that you know is sturdy) and begin the marble part again. Ideas are just flowing for this week so here's another idea!! Grab the printable from week 1 with family cut-outs. You'll be making a mobile with them. Thank you so much to Chatter Bird, Becky, for her craftiness and pictures of how to assemble and how it looks at the end! 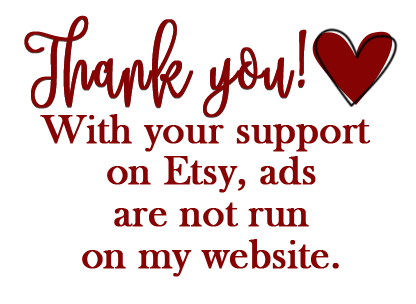 You can download how to make the mobile HERE, thank you Becky for the How to and pictures! Put this up on the board after you ask what would happen if we took the Priesthood out of the mobile. For this idea, show the kids the mobile and ask what would happen if we cut the Priesthood out? 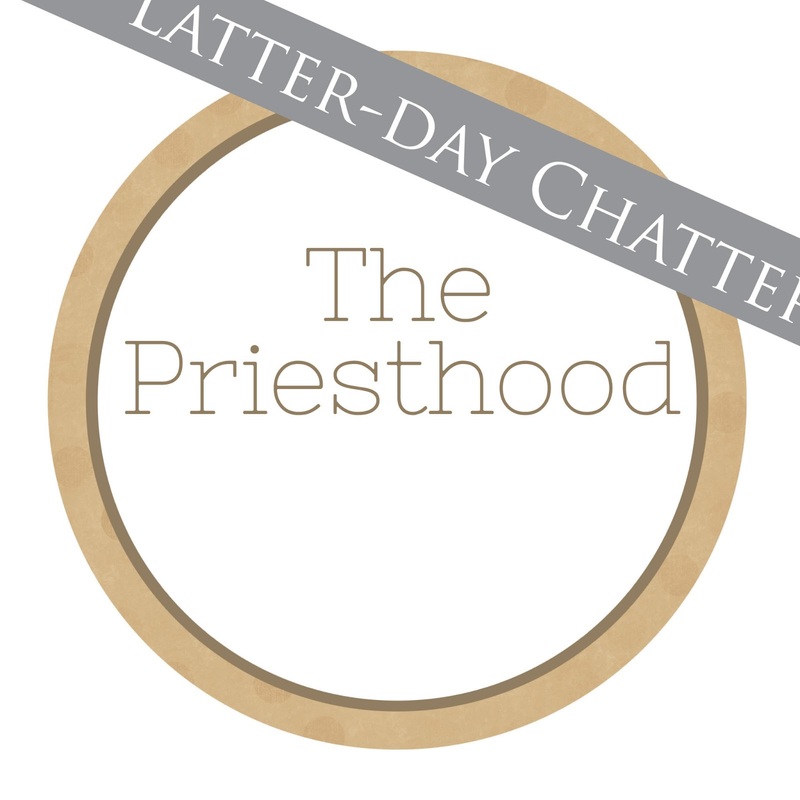 (be ready to cut the string about the Priesthood circle. Let the kids answer then cut the string ABOVE the circle. 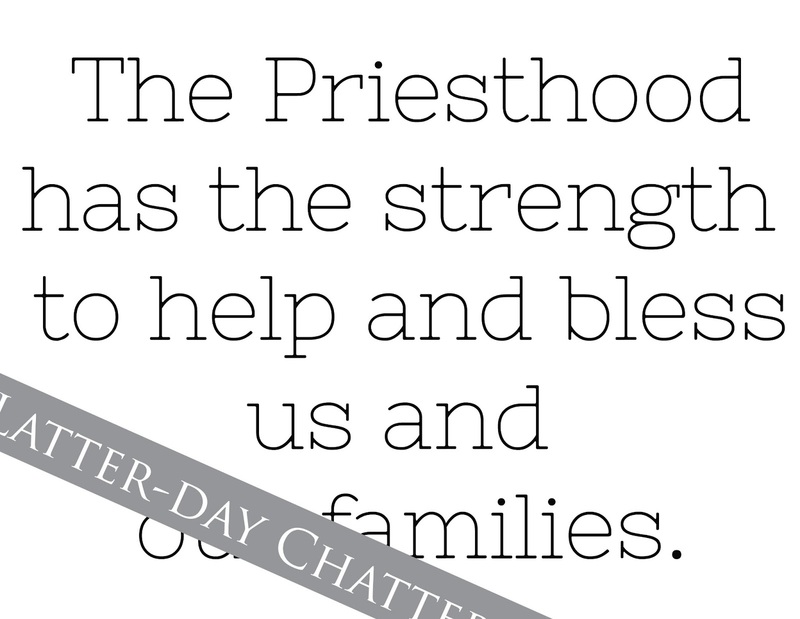 What blessings would our families miss out on if we didn't have the Priesthood?